Do you remember getting your milk in the school cafeteria and seeing the food pyramid on the side? Well, that pyramid has been flattened into a plate. This visual makes much more sense! 1. Vegetables – This should be the largest portion on your plate. Keep the heavy sauces and loads of salt off the veggies. 2. 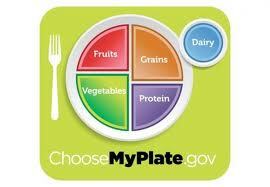 Grains – Whole grains should take up about 1/4 of your plate. 3. Protein – Lean protein should complete the right side of the plate. 4. Fruits – Finish off your plate with a colorful assortment of fresh fruit. 5. Dairy – Low-fat dairy is an important compliment to a well-balanced meal. 6. Fat/sweets – There is no place for these on this new guideline. Using a disposable, divided plate is a great way to get started. Instead of filling the large section with meat, fill that with fruits and veggies and use the two smaller sections for your protein and whole grains. 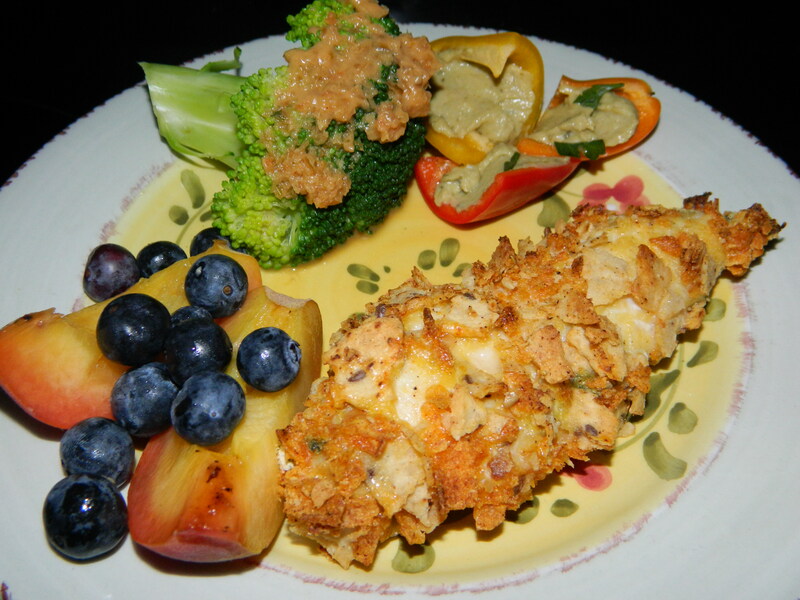 Our Tortilla Crusted Chicken dinner from yesterday’s post is representative of the new food plate guideline. Broccoli, peppers, peaches, and blueberries take up half the plate, and the chicken coated in the corn tortillas (whole grains!) take up the other half of the plate. Serve with a glass of low fat milk, and you have a complete dinner!